Champions of fantastic diverse stories! You are here: Home / Champions of fantastic diverse stories! Read a fantastic review of our new releases by children’s book blog Read It Daddy. Thank you to Read It Daddy for your kind words! Their new collection for 2017 truly does have something for everyone so we’ll dip into our book bag and take a closer look. 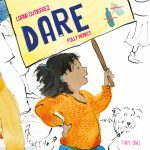 When I Coloured In The World is a brilliant little story about a little girl who is gifted some amazing crayons, and sets about using them to change bad things into good. Her lyrical descriptions of each colour – and what she will use it for – are scintillating and lovely. She turns drought into rain, sadness into hope and deftly weaves a colourful journey as she goes. 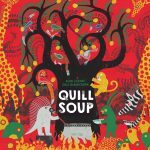 We read this one out loud – particularly enjoying the simple central theme but also the gorgeous exploration of colour and turning bad things around into good. 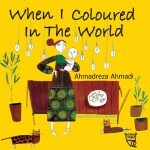 When I Coloured In The World by Ahmadreza Ahmadi and Ehsan Abdollahi is released today by Tiny Owl. The Elephant’s Umbrella is a short but sweet book all about a happy elephant who owns the most amazing colourful umbrella. One day during a storm, the umbrella is whipped away by the wind – landing near a leopard who wants the umbrella all to himself. But the umbrella doesn’t like leopard’s way of living and his ideas of what he’d use the umbrella for. Whipped away again, the umbrella lands near bear – whose ideas are probably even worse than leopard’s! Umbrella soon begins to miss her old friend – will the wind return her to her rightful owner one day? 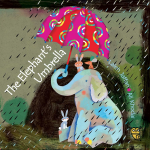 The Elephant’s Umbrella by Laleh Jaffari and Ali Khodai is released today, published by Tiny Owl. 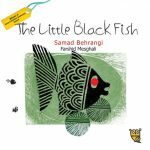 The Little Black Fish by Samad Behrangi tells the story of an inquisitive little fishy fellow. Little Black Fish may be small, but he has big questions and a determination to find answers to them. He meets wonders and adventures, dangers and beauty. He makes it all the way to the sea, and finds his answers. The little fish’s story is passed down to a new generation who will hopefully be inspired by his curiosity and joie de vivre. 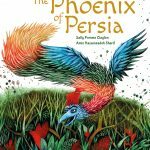 The Little Black Fish by Samad Behrangi is out today, published by Tiny Owl. Last but not least it’s The Clever Mouse by Anahita Teymorian. The story of a mouse who is indeed clever, but also a bit too big for his (tiny) boots. 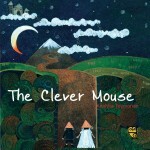 The Clever Mouse by Anahita Teymorian is also released today, published by Tiny Owl. 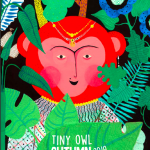 A truly brilliant range of fantastic titles, visit the Tiny Owl website for more exciting and diverse children’s stories from a publisher who really knows how to stand out from the crowd.